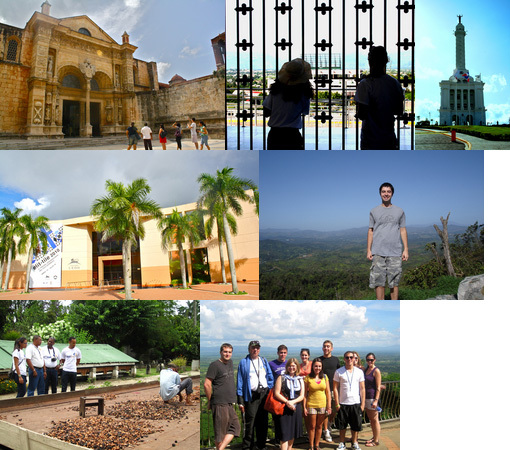 There is something for everyone in the Dominican Republic! It is a Caribbean island nation which shares a border with Haiti and is the site of Christopher Columbus’ first landing in the “New World.” From meticulously-preserved historical sites to a fast-paced emerging economy and a new-found stronghold in international relations, students of all fields have something to learn in this racially and culturally diverse and distinct nation. The nation’s capital, Santo Domingo, is both cosmopolitan and brimming with old-world charm. The city offers a plethora of recreational possibilities from museums, monuments and parks to shopping districts, restaurants, lounges and dance clubs. Moreover, its Colonial Zone was declared a World Heritage Site by UNESCO in 1990. Known for its booming tourism industry, its world-famous baseball players and its rapid economic development, the Dominican Republic is emerging daily in new industries that make it competitive on an international scale. It is quickly establishing itself as a regional leader in cinema and film, as well as environmental initiatives. It is the perfect canvas for students and researchers alike to take part in the development of the country and the region.